Thank you very much indeed to Cheryl Davis, the Society’s Membership Secretary. If you are a member of SPS you will have received a letter from Cheryl at some point, thanking you for joining or reminding you to renew! 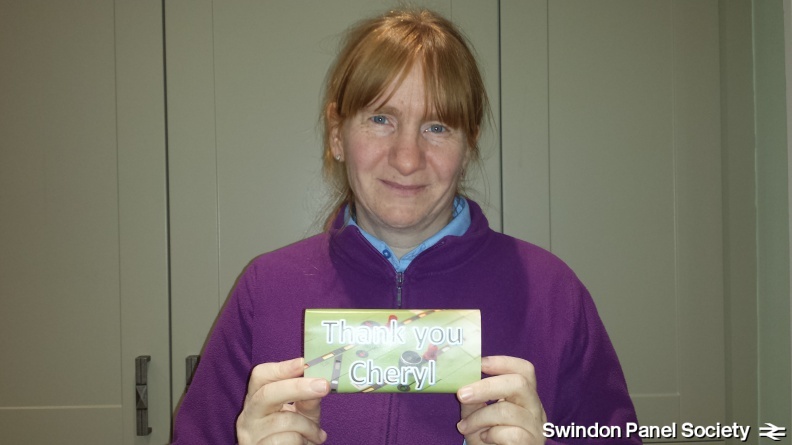 Thank you Cheryl – We hope you enjoy you Swindon Panel chocolate!